Love North Korea Ministries (LNKM), a Christian NGO operating in North Korea, was behind the first ever “surf camp” tour of the country, LNKM director Gabe Segoine told NK News in an interview on Monday. A surfing tour to the country’s east coast, which ran between July 28 and August 6 and subsequently publicized by state media, was organized by LNKM in partnership with Surfing The Nations (STN) and hosted by North Korea’s tourism bureau, the Korea International Travel Company (KITC). According to Segoine, the idea to stage a DPRK surfing camp stemmed from an exploratory surfing trip he held in 2012 and a subsequent exchange with a North Korean tour guide that accompanied his group. “One of our members did give a surfboard to one of the Korea International Travel Company (KITC) tour guides, Mr. Kim (now known as the first surfer in the DPRK),” Segoine said. “I returned to the DPRK in 2013 and ran into Mr. Kim at the Arirang Mass Games and asked him how it was going with his surfing. He replied that he was waiting for me to return to help him. That was the seed for the surf camp,” he added. Segoine, an avid surfer, also said the fact that no one had previously been able to surf in North Korea was an added incentive to organize the camp. “Until recently, the DPRK was the last frontier for surfing in the world. As a surfer/bodyboarder I’d always wanted to catch waves there. In doing NGO work inside, I was able to see the potential for surfing first hand,” Segoine said, adding that the KITC were keen to follow through following his initial pitch. “It was a lot of work but KITC was very cooperative and helpful throughout the entire process. Since the camp was successful, we do plan on running more camps in the future,” he said. It would seem that North Korean authorities also deemed the camp a success, publishing an article promoting the surfing tour in the Pyongyang Times in August – albeit without mentioning LNKM or STN. Segoine believes that North Korea is becoming more receptive to sporting events as a means for exchange and that events such as the surfing camp are an effective way of creating a dialogue between North Koreans and people from around the world. “The DPRK is more open than ever to new sports such as surfing. I look at sporting exchanges as a great opportunity to create dialogue, build understanding and friendship and most importantly, create peace between the DPRK and the rest of the world,” Segoine told NK News. Video footage from the surf camp published by LNKM seems to indicate that, as intended, North Koreans as well as foreigners were able to take part in the activities. “Most of the camp participants were KITC guides, however we were also able to pull a few people from the beach onto surfboards at various different times,” Segoine said. 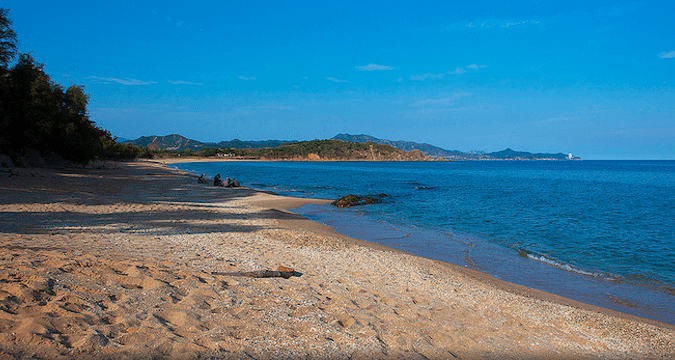 During the summer months North Korea has something of a vibrant beach culture and the group was able to share the beaches with large groups of North Koreans while touring the East Coast of the country. “People really love the beach and have a lot less fear of the ocean than elsewhere. 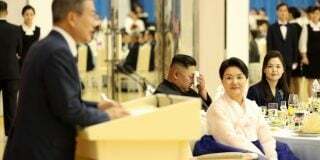 We were there during the summer school break and both Shijung and Majon beaches were packed with local people on holiday,” Segoine said. 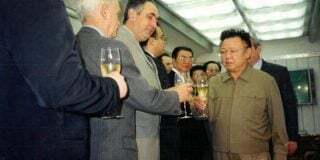 Segoine also wrote on the LNKM website that he hoped North Koreans would be able to continue to surf the areas his group was able to visit and told NK News the equipment brought into the country would be left for North Koreans to use in the future. “We brought ten new soft-top learning longboards with the intention of leaving them behind. We also donated two short-boards and three bodyboards (aka: boogie boards) as well as wetsuits and surfboard wax”, Segoine said. LNKM are an openly Christian NGO that have been working in North Korea since 2008 and have completed a number of aid projects with a focus on food and water security, green energy and medicine. 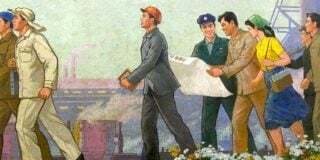 Despite accepting humanitarian work from religious based NGOs, North Korea remains largely hostile to religion and to foreigners attempting to proselytize or spread religious teachings within the country. North Korean authorities have arrested a number of foreigners on tours to the country and in 2012 sentenced American citizen Kenneth Bae to 15 years hard labor for preaching Christianity, a crime deemed to be “hostile acts against the state”. An Australian missionary, John Short, was arrested in 2013 for distributing religious pamphlets but was subsequently released following a “confession”, while American Jeffrey Edward Fowle has been detained since April for leaving a bible in a North Korean bar. However, despite being a Christian based organization, Segoine said that neither LNKM nor the group experienced any issues due to their religious backgrounds and that their priorities as an organization are not focused on spreading Christianity. “Our desire for friendship and peace always comes first. We never push our religious views but instead enter the country with a desire to learn about and understand the people. Taking this position tends to remove barriers and helps to build better relationships,” Segoine said. Segoine also said that the group was also allowed to conduct religious activities such as prayer during their time on the surfing camp. Subscribe to read the remaining 955 words of this article.